Y’all. After my first experience with them, I have decided that David’s Bridal is the worst. The woooooorrrrst. Specifically the store I visited in Hampton, VA. I went into the store expecting them to at least have a dress in or close to my size to try on. They have the style in store so they should at least have something in a wide variety of sizes since basically everything needs to be ordered anyway right??? WRONG. My sister told them the style because it was in the appointment information and I told them I want to try on the size 24 in the one shoulder style. Well they didn’t have that, but they had a 20 in the halter style. Whatever I’ll try it on though that size is too small. As we guessed, it didn’t fit and it wasn’t even the right style so I was annoyed. So after about an hour of my kids running around in their dresses that they were trying on as well, the attendant came back with a dress in the correct style but in a size 16!!!!!!! YALL. A 16. I haven’t seen 16 since well before I got married. I humored them and tried it on anyway to see where it would stop coming up. Yep it didn’t get past my shoulders (see picture). They said “try it on and we can measure you.” LMFAO. I ended up just taking the girls with me to sit in the car. I was so over that store and that day. In the end, they just measured me so they could order the size I needed. They should have just started off with that since they knew they didn’t have my size. If the store offers in person fitting, they need to have a variety the sizes for the styles they offer. Smallest size, biggest size, and some sizes in between. Anyways, David’s Bridal is terrible and if it weren’t for the fact that my sister is getting married and using them for dresses, I’d never set foot in that store again. I did end the week on a positive note by getting behind AND in front of the camera. 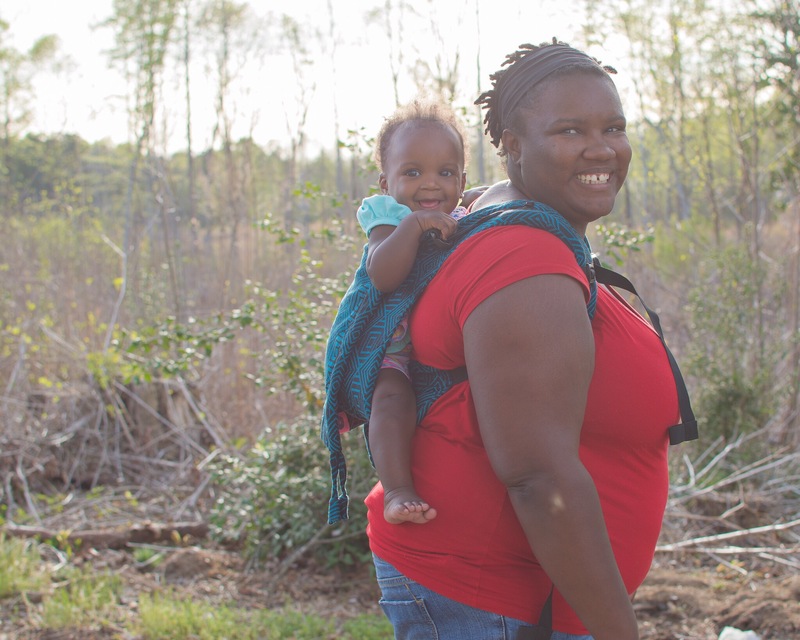 I love love love photography, especially babywearing and breastfeeding photography. I took some great pictures of myself and my girls. Check out Smitten soon to see what I’ve been up to! Goal update: I went to the YMCA twice this past week, 3 times if I count the tour, and I listed 19 carriers! Goals for this week: YMCA twice. DONT GET SICK. This year, I will be focusing on me. Typically when I do the 52 project, I focus on everything but me. It’s usually my children or babywearing or even random things that caught my eye. It’s all about me now! Recently I realized that I have not been putting myself first as often as I should. I was so focused on making sure that others were taken care of that I severely neglected myself. Once I started working, I realized that people started to resent me because I was too busy to check in with them as often as I had been before. It really made me sit back and reflect on these friendships. Was I receiving any support when it came to my mental health and life problems or was I just allowing myself to become their mental dumping ground? Were they even sharing my joy when I told them good news? NOPE. Did they even get that I was trying to put myself first? NOPE. Looking back, I should have noticed this but I know that when you’re a person like me who gives and gives, there usually isn’t anyone there to even notice that things are different with you until you go into a complete meltdown. In 2018, I will be focusing on wellness. I will say no to things that I don’t want to do. I will do things that make me happy. I will do all the things I love to do. I will take care of ME. I will be selfish. I will make sure that I am putting myself first. I will fight for others less. I will fight for myself more. I will just be me. I have other goals for the year as well that all focus around wellness and I can’t wait to share those things with you as the year goes on. Today is the end of the first day of 2018 and if today is any indication of how the year will be for me, I think it’s gonna be pretty damn great. 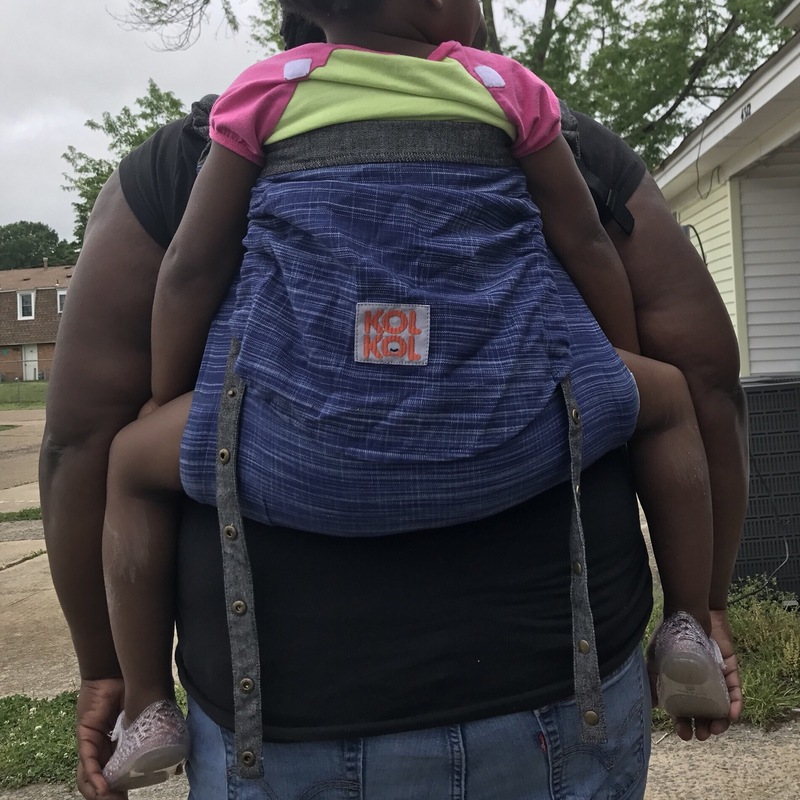 Kol Kol Baby Carrier is a company out of India that makes affordable and comfortable baby carriers. Fun fact: The company is named after the first words that Bayiravi’s (owner) son spoke! So sweet!! They will soon be releasing an onbunimo and I had the pleasure of trying it out . Minerva is about 20 lbs and 28 inches tall. She fit great in the carrier. 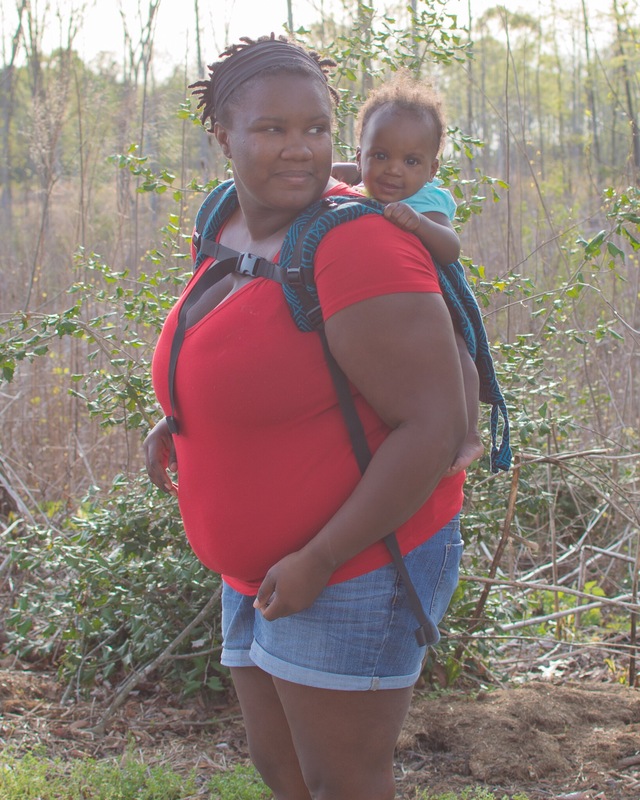 With onbuhimos, all the weight is carried in your shoulders, so one of the most important aspects of the carrier for me is the padding. Kol Kol’s padding was so soft! It reminded me of a pillow. It was very comfortable on my shoulders. I also like their hood which is rare because I usually can do without a hood on most carriers. The carrier even fit Maxine comfortably! She will be four years old soon and is in 4T clothes. 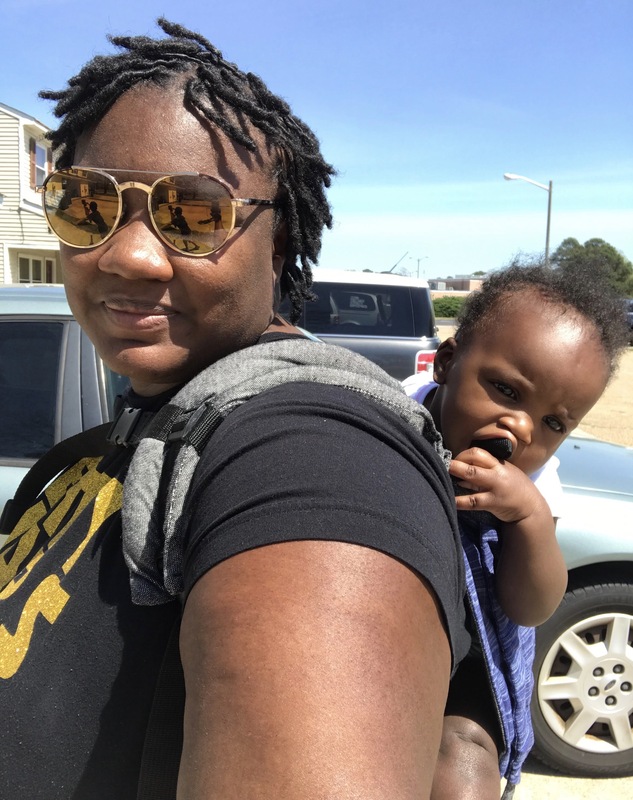 The onbuhimo fit great in my diaper bag which is a plus since I pack so much stuff when we leave the house and since there is so little fabric, it is ideal for warmer weather as well. The fabric breathed very well. I think that this will be on my list of carriers to buy! Be sure to check Kol Kol out on Facebook and Instagram, and also Join their group Kol Koling on Facebook! Soul is a wonderful company based in Bangalore, India that has taken the world by storm! They offer so many various carrier styles. From slings to buckles–they’ve got it all! They even have some pretty sweet accessories to match their carriers. I first came across them on Instagram a couple years ago and since then I’ve been watching them explode! Recently I was sent a Maze Blues Jacquard Onbuhimo to try out. Since Minerva is my main wearee, I tested this out mostly with her. I did wear this some with Maxine (40 lbs) and she fit in it well! Minerva is about 20 lbs and 28 inches tall. She was juuuust big enough to fit well in the carrier. 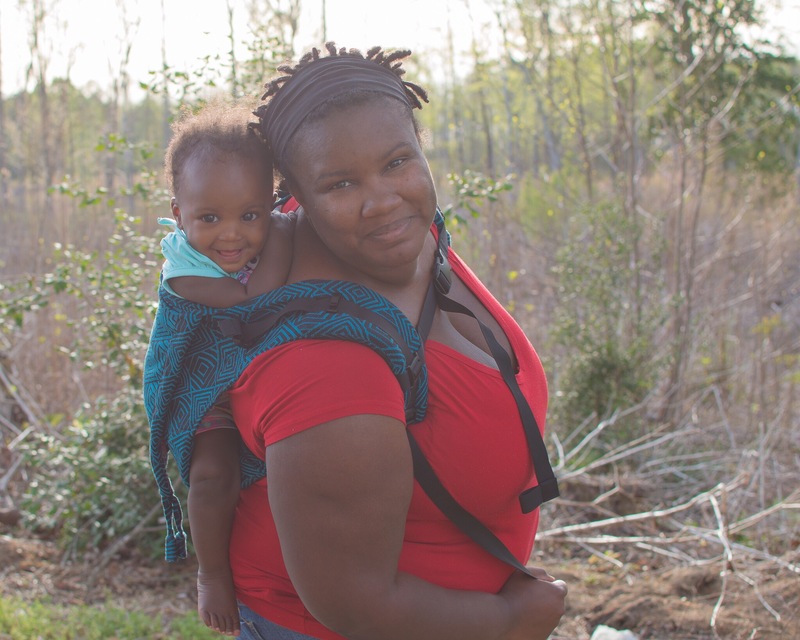 With onbuhimos, all the weight is carried in your shoulders, so one of the most important aspects of the carrier for me is the padding. Soul hit it out the park with this padding. I have tried a few other brands of buckle onbuhimo and this one had the squishiest padding. It reminded me of memory foam. The padding is thicker than in their buckle carriers which is a good thing. 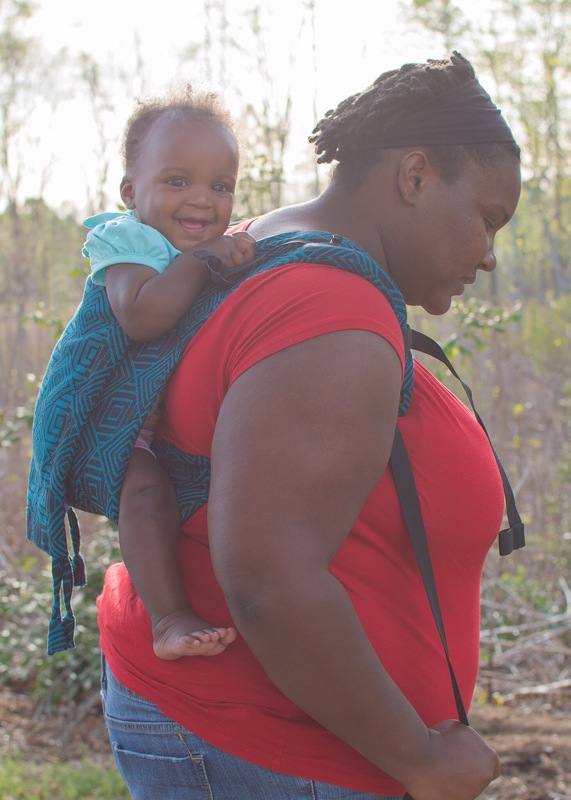 The Soul onbuhimo has perfect fit adjusters (PFAs ) which help get the carrier to fit better. With Max, I preferred them all the way out. With Min, I liked them all the way in. The chest clip can be moved up and down to get to a comfortable spot as well. Everything on this is easy to adjust . 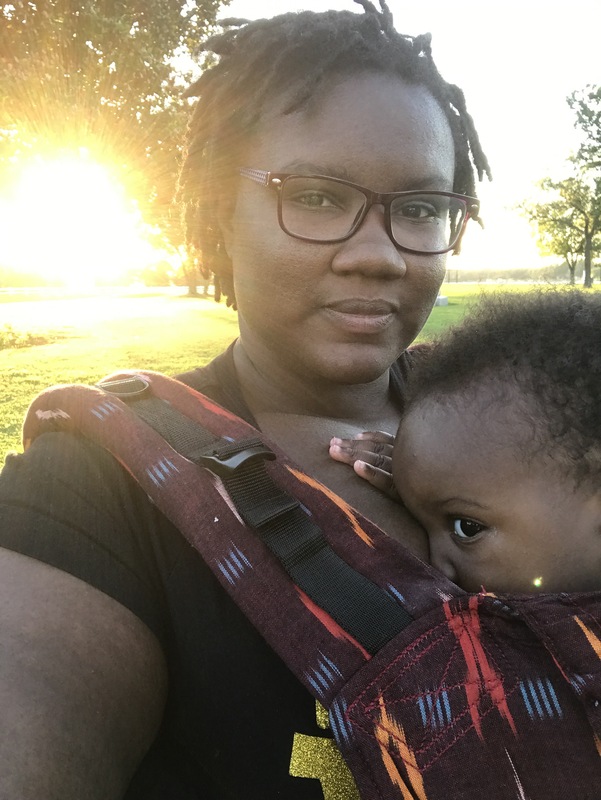 The Soul onbuhimo fit great in my diaper bag and since there is so little fabric, it is pretty ideal for warmer weather as well. I got to wear it in 90 degree Virginia heat–it was not that bad! Onbuhimos are recommended for wearees who have sufficient torso control to support their heads and sit up independently. I found that the carrier fit me pretty well. I am plus sized, so that is pretty important for me. It fit me with Maxine with plenty of webbing to spare and made me very happy! Be sure to check Soul out on Facebook, Instagram, and Twitter, and also Join their groups Soul Family/Soul Family US Edition on Facebook!